Councilwoman Ajmera is committed to tackling our lack of economic mobility, our aging infrastructure, and the institutional lack of trust and unity. "All residents must be treated fairly and equally." 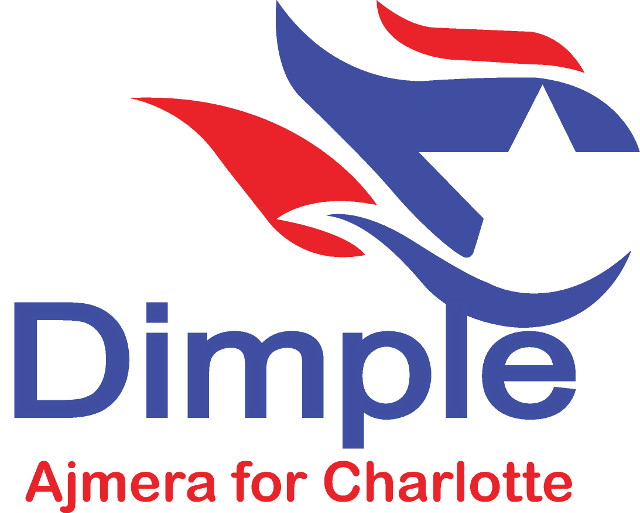 (Charlotte, NC - July 4, 2017) Councilwoman Dimple Ajmera will officially file to run for Charlotte City Council At Large on Friday, July 7th at 2PM at the Board of Elections Office located at 741 Kenilworth Ave., Suite 202, Charlotte, NC, 28204. Please join us on this special day and be part of the history! Councilwoman Ajmera currently represents the Charlotte City Council District 5 and previously served on the Charlotte Housing Authority where she passionately advocated for affordable and workforce housing throughout the city. She is currently working on key projects that will bring jobs, infrastructure improvements, and neighborhood stability to the former Eastland Mall site in East Charlotte, along with transportation improvements along Independence Blvd. Councilwoman Ajmera states: "I am working hard to bring infrastructure improvements, jobs, and stability to the former Eastland Mall site and I’m committed to promoting safe neighborhoods, economic opportunities, and accessible transportation throughout Charlotte. In order to serve all of Charlotte’s citizens at a higher level of trust, service, and responsibility, I am running for Charlotte City Council at Large this fall." Councilwoman Ajmera further states, "Every person in every neighborhood of Charlotte deserves safety, respect, economic opportunity, and a place at the civic table. We can have no more excuses. All residents must be treated fairly and equally regardless of color of their skin, ethnicity, gender, where they come from, where they live in Charlotte, and what language they speak. I love Charlotte and all its wonderful people - but unless we work together to tackle our lack of economic mobility, our aging infrastructure, and the institutional lack of trust and unity, we can never be truly great!"